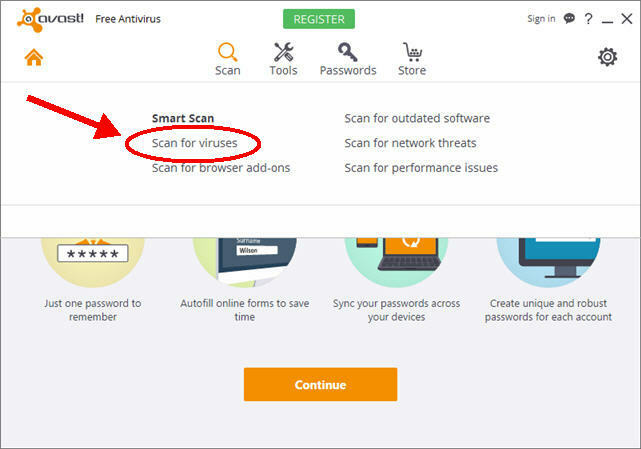 These instructions are based on Avast Free Antivirus version 11.1. 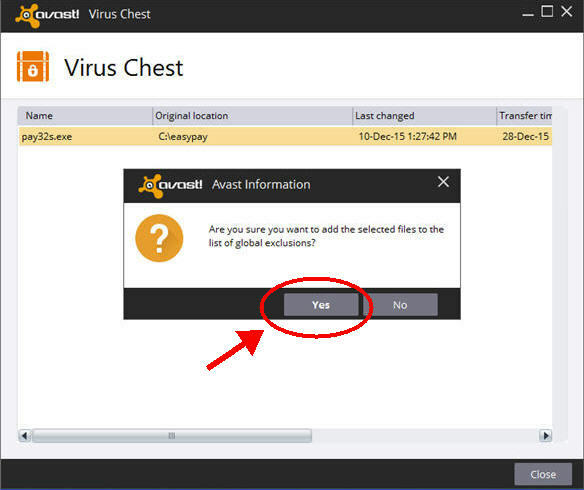 Your Avast interface and options might be different from the ones shown below. 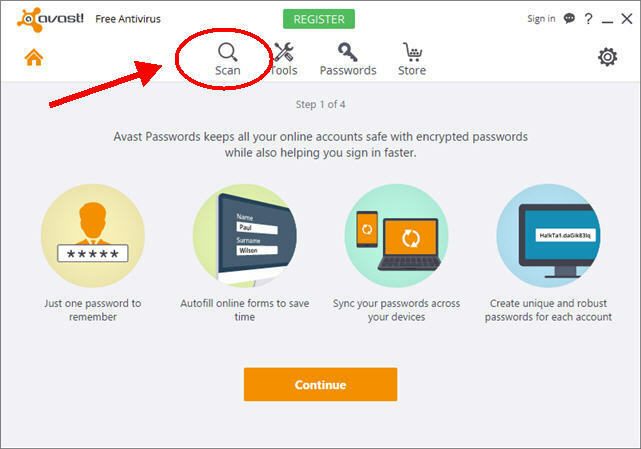 If Avast has blocked or quarantined Easypay, please try these instructions. 1. 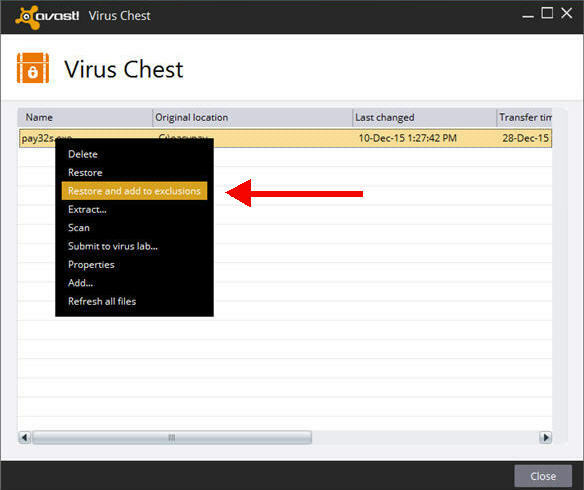 Open the Avast user interface and click on the Menu icon. 3. 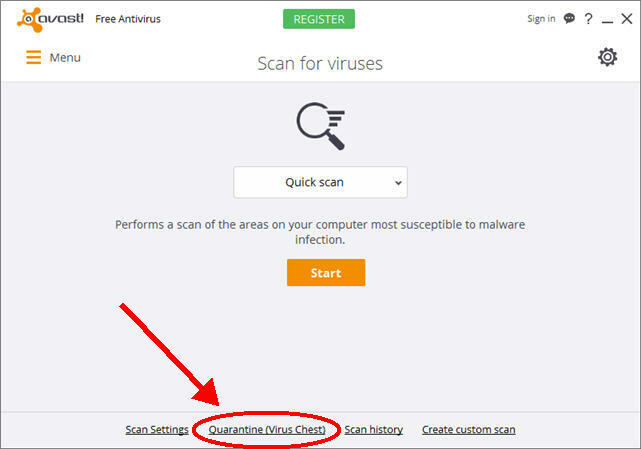 Click Scan for viruses. 4. 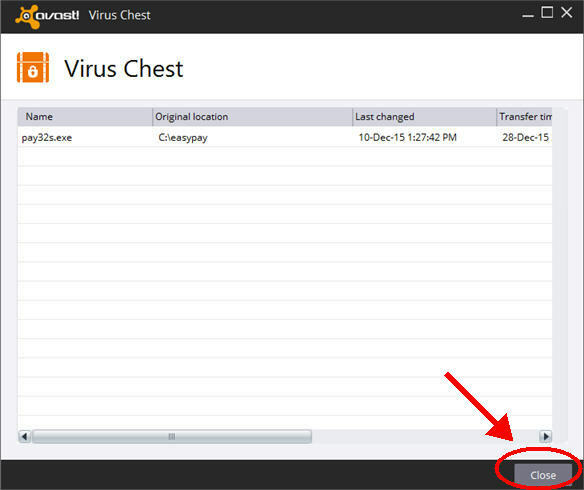 Click Quarantine (Virus Chest). 5. Scroll through the list and look for a file named pay32s.exe. 6. RIGHT click on the file pay32s.exe and click Restore and add to exclusions. 7. Click Yes to confirm that you want to exclude pay32s.exe. 9. 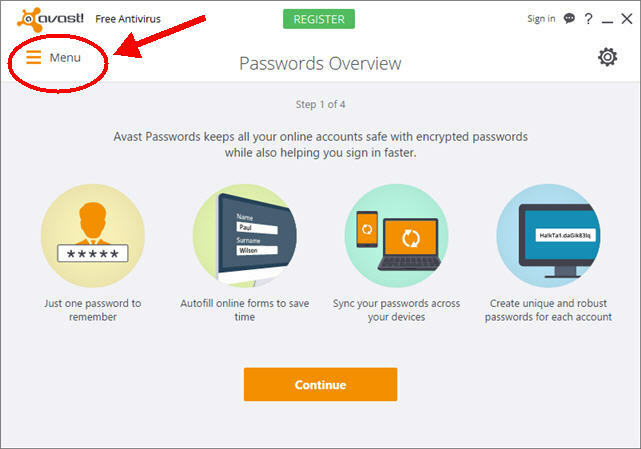 If Avast has deleted the Easypay icon, you can restore the icon by re-installing the Easypay update. 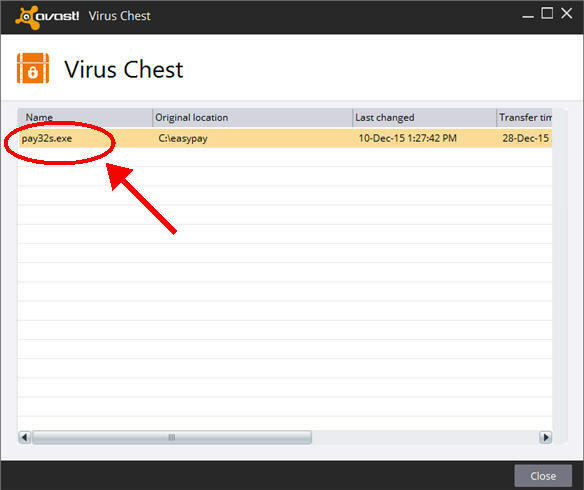 You DO NOT need to turn off Avast before re-installing the Easypay update..
10. Start up Easypay the way that you normally do..